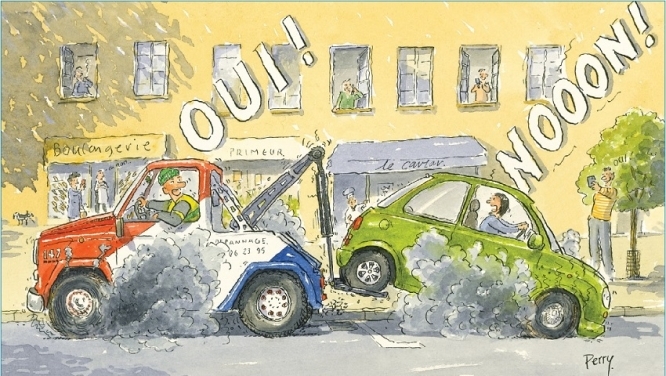 The same term is used in French, as in English, for the place where badly parked vehicles or stray animals are taken – la fourrière (pound). What is more, in many cases, eg. where the police have it towed due to a parking offence, towing and pound fees will be on top of a fine for the offence. In some cities, police seem especially zealous in having cars removed but in at least one they are making an effort to give drivers a last chance to avoid their cars being towed.